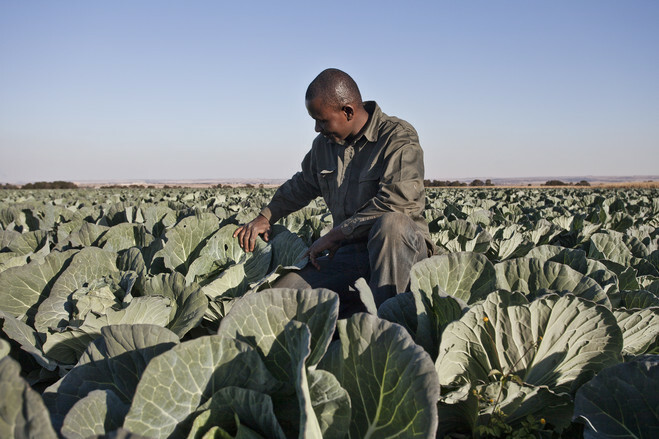 There is broad consensus that part of the reason why SA’s land reform programme has fallen short of expectation has been due, to some extent, to a lack of well-timed, co-ordinated and effective measures to support new farmers. Access to tailored seasonal finance, fair and equitable access to markets and supply chains, effective government regulation and management of standards, input supplies, and on-farm and off-farm infrastructure (such as roads and silos) all form part of a holistic set of post-settlement support measures that have to be delivered at the right time and place, in order to give land reform beneficiaries a fair chance to succeed. One of the most important yet contentious parts of post-settlement support is government subsidies. These can include low-interest loans, low-cost to free inputs, and concessionary lending for equipment and machinery. The reason subsidies are an intensely contentious issue has to do with how inefficiently they could be managed at government level, and how they create a dangerous form of state dependency for farmers and market distortions that breed inefficiency. The SA government routinely gives away free inputs as well as tools and machinery, with these subsidies being implemented through national programmes such as Ilima-Letsema and the Comprehensive Agricultural Support Programme. In the recent issue of Agrekon, an academic journal, agricultural economics professor at the University of Fort Hare Mike Aliber demonstrated that in any given year, roughly 20,000 small-scale farmers receive free inputs from the government in the Eastern Cape alone. Without getting into the detail of how government programmes are prone to malfeasance and rent-seeking and are plagued by bureaucratic inefficiencies, which generally lead to fiscal leakages, there is a strong sentiment among frugal economists that subsidies are neither a good use of resources nor an effective way of increasing productivity among farmers. The reason is that free input support programmes create a negative psychological effect of dependency, which disempowers farmers from becoming innovative, resourceful entrepreneurs. Averting this trap has led to new thinking around how the government could create systems of accountability that ensure farmers, especially new smallholder farmers, receive much-needed support while getting a personal commitment from the same farmers to produce efficiently and productively. There are various ways this can be done, based on tried and tested models that were used to establish the commercial agriculture that we have in SA today. For example, the government could consider a co-funding model in which subsidised loans are provided to farmers for farm improvements such as fences, farm buildings and feedlots, with the state reimbursing the approved beneficiaries according to government-approved tariffs. The farmer will first pay for the improvements (using own resources or a loan from the Land Bank or another facility) and then claim the refund from the relevant government office based on proof of expenditure and on-site inspection to verify actual expense. The refund can be offset against the outstanding credit amount. The weakness of current support programmes such as the Comprehensive Agricultural Support Programme is that it sometimes takes up to three years to get funding following initial approval. Yet anecdotal evidence reveals that in most cases it is usually the same farmers who benefit from the programme, and therefore the approval process should not be that lengthy. To avert this problem, agribusiness firms and financiers could affirm their commitment to providing some of the elements of this support package on behalf of the government. What is clear is that post-settlement farmer support requires urgent comprehensive reforms, which not only consider the elements already discussed in this article but also include ready access to well-qualified agricultural extension officers. *Written for and first published on Business Day on 20 March 2019.